This stall had the longest queue in the food centre during lunch on a Sunday. I decided to join the queue out of curiosity. There is the option to choose between the dry or soup at $2.50 and $3.00. 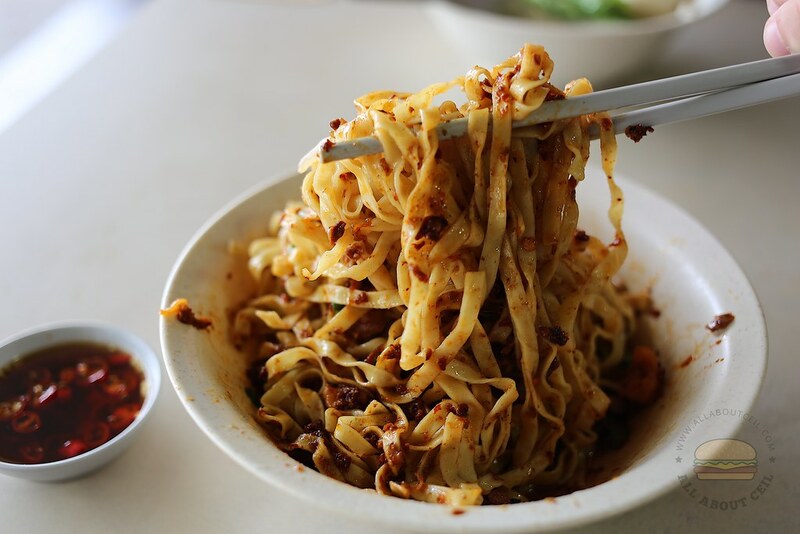 They might be one of the few stalls that are still selling their bowls of noodles from $2.50. 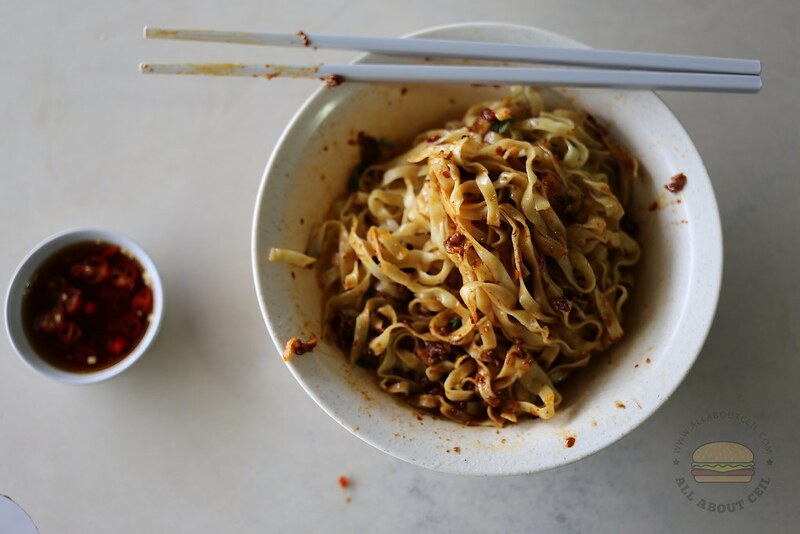 Where else to actually get a bowl of noodles at this price? The light of the signboard went off after I joined the queue. Two of the customers went to queue after me but was told no more and so, I was the lucky one to get their last bowl. 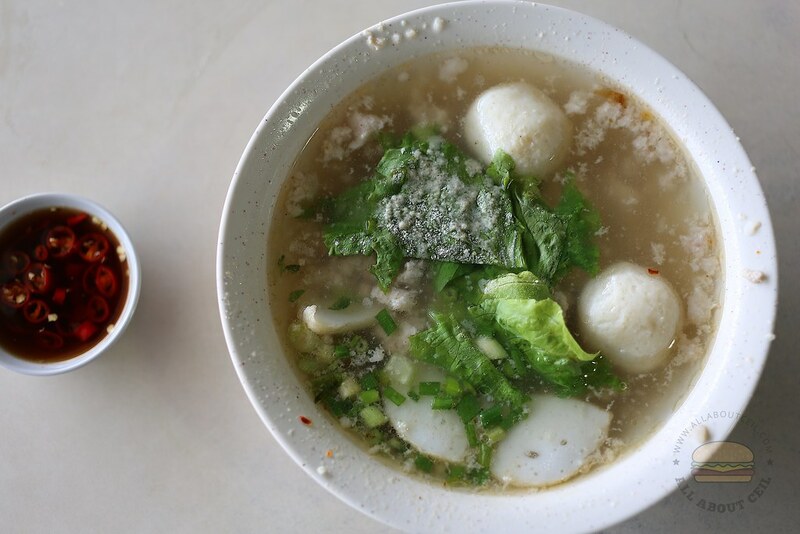 I went with the larger portion of mee pok, it was served along with a bowl of soup that contains ingredients like the fishball, fishcake, sliced meat and minced meat. 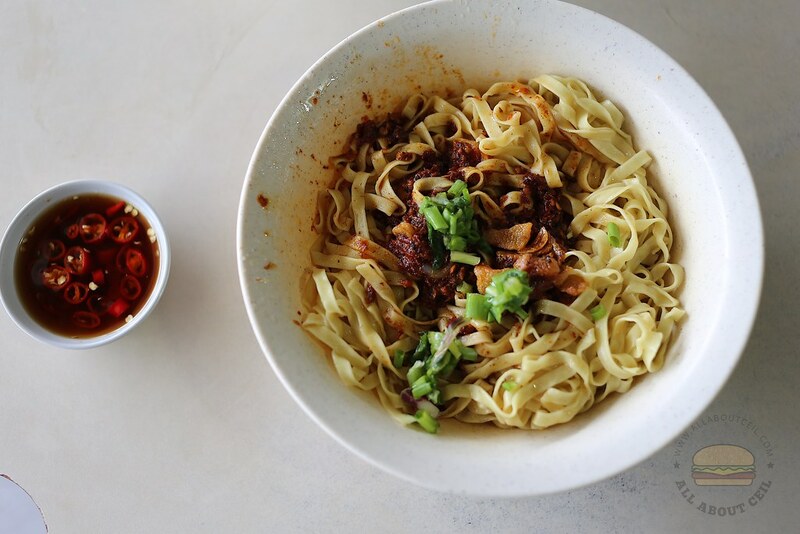 After tossing the mee pok to mix it with the chill and chopped spring onion, my dining companion had his first mouthful and he said, "Their special chill did not taste as spicy as it looked. 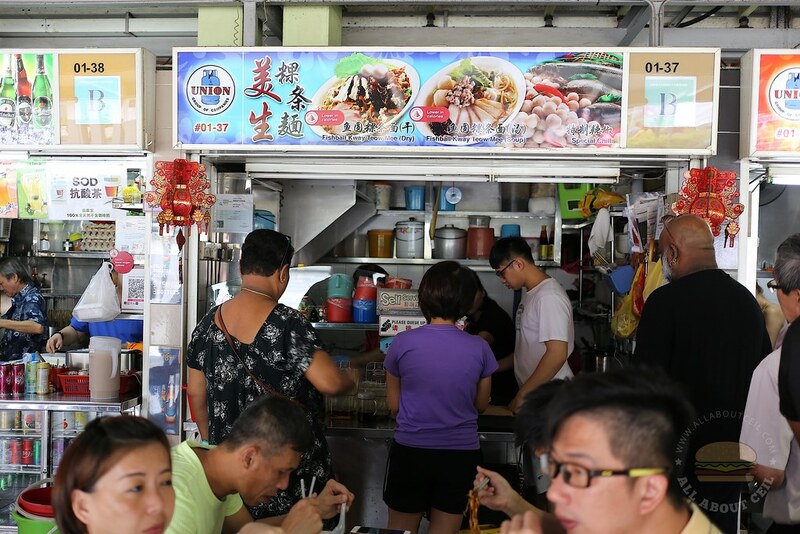 And, it actually made the mee pok tasted special and different from the others." The noodles were cooked well, it was tender but firm to the bite. My dining companion tasted the soup and said, "The soup is unexpectedly tasty, it is nice. The combination of the noodles and soup is good." Most of their customers actually ordered the dry mee tai mak and it was also the first to run out. I like it enough to want to come back for more. Is the operating hrs from 07:00 am to 4pm? Yeah. It should be from 7.00 am to 4.00 pm but they usually sold out earlier than that.